Taupo boasts incredible natural attractions, thrill-seeking activities and a wild party scene. We know you’ll want to experience it all so we’ve ensured all our accommodation options are close to the action. Stroll over to Lake Taupo or stumble home from T Bar whichever you prefer we’ve got you covered! Whatever you’re looking for we have an option for you. 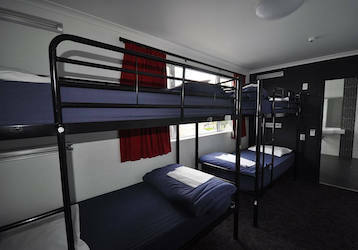 Party in style in our 3-star accommodation, bunk with your buddies in our backpackers, or host your own in room party in our self-contained apartments. Great value accommodation so you have more money to spend on the fun stuff that matters. 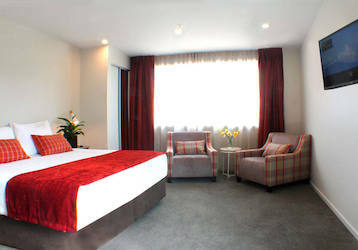 Surrounded by bars in the heart of the city centre and only a 2-minute walk from Lake Taupo, this accommodation has the real estate of a luxury hotel but a price tag that won’t break the bank. With free Wifi, a private function room and an onsite bar and café this accommodation is seriously bang for your buck (pun intended)! Sleep easy in these spacious self-contained apartments just a short walk from Taupo’s town centre. Not only these apartments close by all of Taupo’s nightlife, they are also just a short drive from Huka Falls, Lake Taupo and Waikato River. 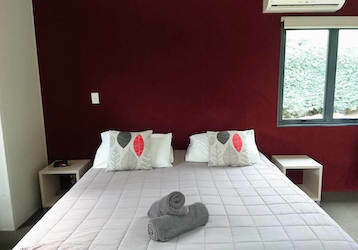 Enjoy all that Taupo has to offer then head back to your accommodation and enjoy the fully equipped kitchen, air conditioning, in-house movies, and even an outdoor pool. The perfect mixture of convenience, comfort and affordability these apartments are perfect for any Bucks weekend! Taupo’s 3 star accommodation will see you and your crew living up close and intimate as you celebrate the Buck’s last weekend of freedom. Enjoy panoramic views of Lake Taupo, relax in the on-site mineral thermal pools, or treat yourself to a spa treatment. This 3-star accommodation has something to cater for every group. It’s the ultimate get-away but still only a stone’s throw from all the action with Taupo’s night life a short 5-minute drive away!